My earlier review of Staedtler Ergosoft pencils is here. These pens are part of the Staedtler range endorsed by Johanna Basford to use for colouring in her books. It is an extensive range of various sized packs, some of which are linked to below. 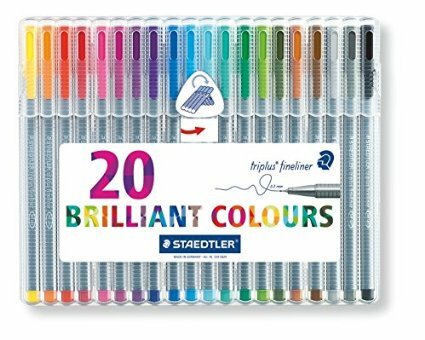 Apparently there is even a rollup pencil case holding 20 Fineliners! 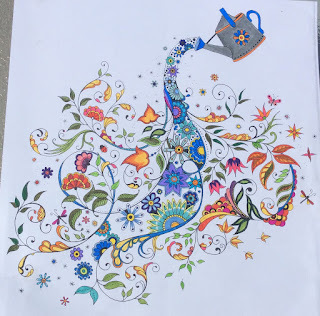 My colouring done in mostly Fineliners. 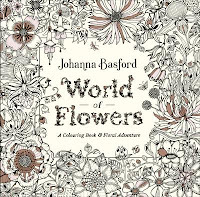 Johanna Basford image. These are the two sets that I am reviewing here. - A triangular shaped barrel for ease of handling. They are comfortable to hold and don't roll away from you. - The hard, clear case is a really good design feature. The top folds back to become a stand for the pens, making them easy to use and return to the case. The 36 pack comes in a cardboard box. - The colour on the barrel is mostly accurate for the colour produced although it's always a good idea to make a colour chart. 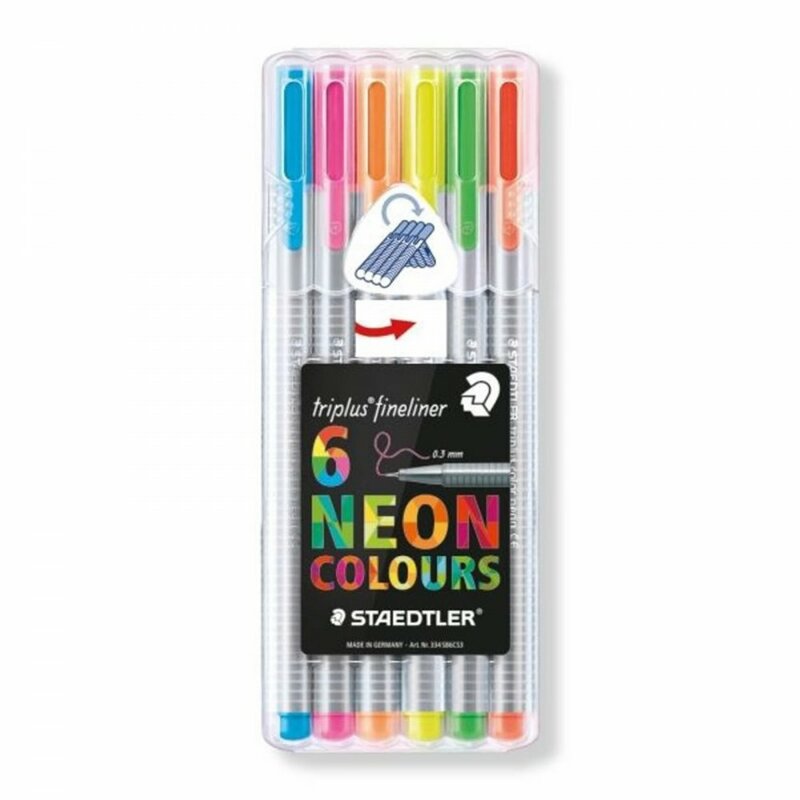 Check this photo - the bottom six are the Neon pens. 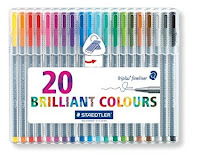 - The line width is 0.3mm and the ink is water based, so is unlikely to bleed in books, although you must test them on the paper first, particularly the dark colours. I have used them on a Johanna Basford Secret Garden postcard and despite the thickness of the card, they bled straight through. That surprised me although the card is quite spongey in texture. - The pens are "dry safe" meaning that they can be left uncapped for a few days. 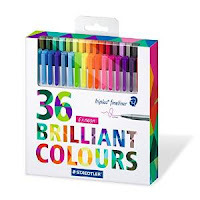 - Although available in a range of pack sizes, you can also by loose stock in some art shops. - The colours are mostly strong and vibrant, the exceptions being the yellow and grey which are a bit pale. 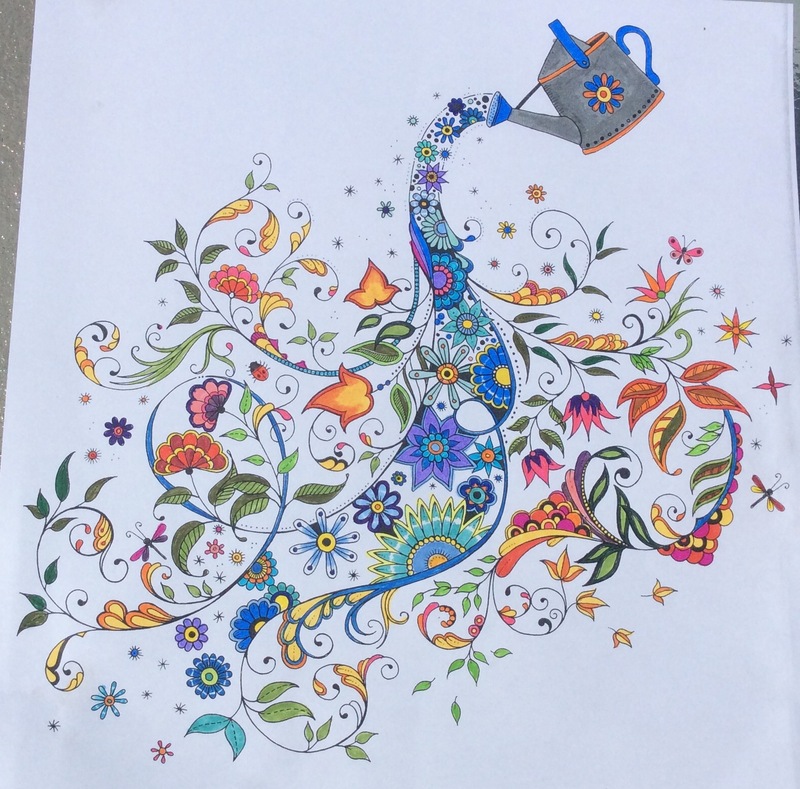 Dark blue Fineliner used to outline the background. 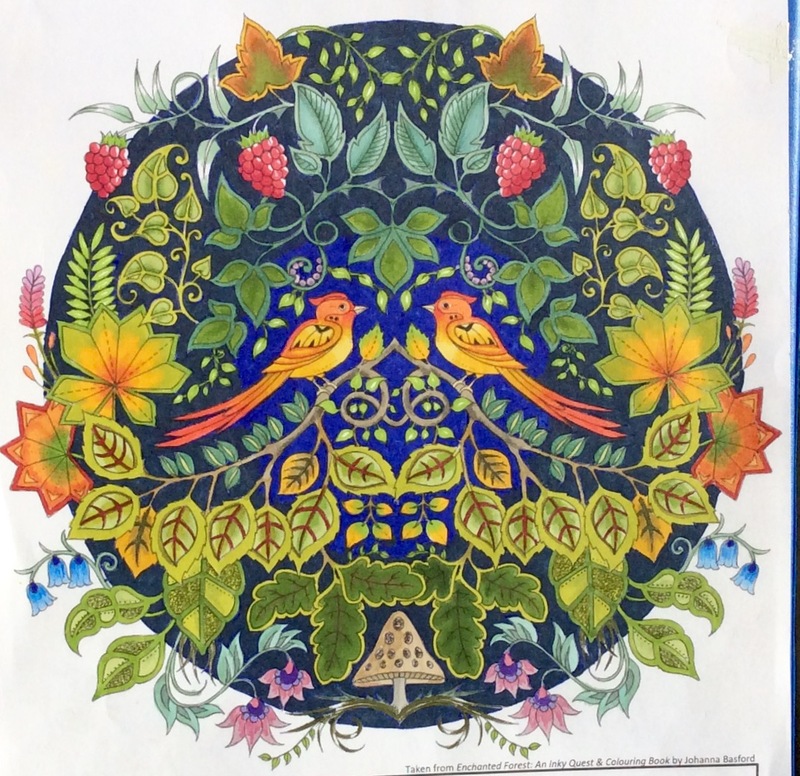 Image is from Enchanted Forest. - The colours match those of the Fibre-Tips pens which is useful. 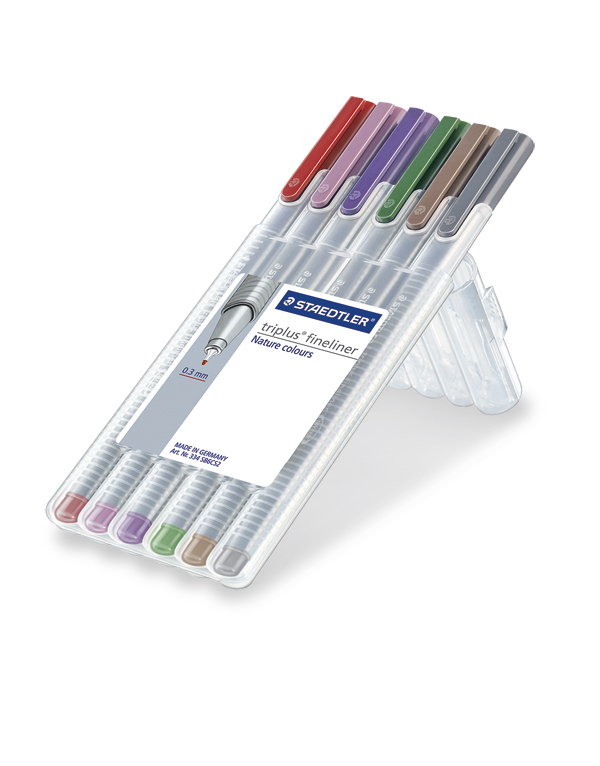 - It would be helpful to have a colour number or name on the pens as several of the pink-purple range are similar. - If you are colouring Basford images, these are an almost essential colouring item. 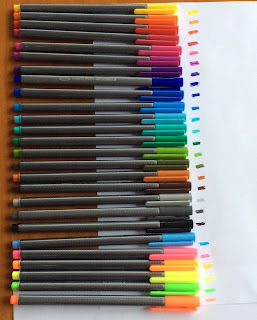 You get the combination of bright colours and a fine tip. Escape to Shakespeare's World - review is here. 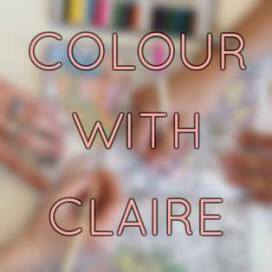 Colourer of the Month, Erin - interview is here. Animals Night & Day - review is here. * These pens was sent to me for an honest appraisal. Thanks. 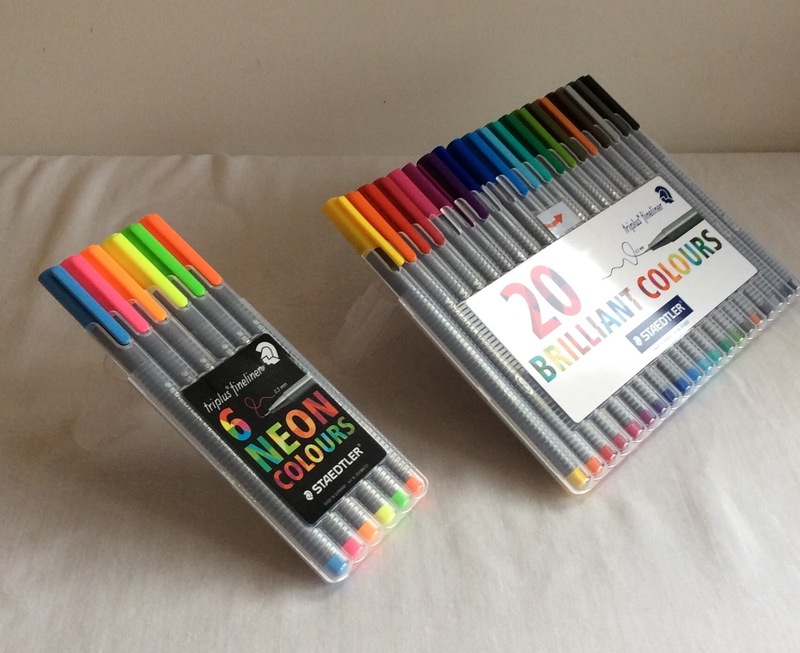 Thanks for the review, I've recently gotten into Bullet Journaling (a bit distracted from colouring!) 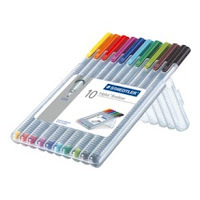 and I've wondered how these may work with Midori inserts. A very different kind of paper, I know, but I really like the fine line as my writing is on the teeny tiny side.